Tilapia is a “white fleshed” fish, high in protein that has a delicate, mild flavour. Tilapia is a popular food fish and many species of tilapia can easily be cultivated in ponds. The Ancient Egyptians cultivated tilapia in ponds along the Nile. Today, tilapia is a popular food fish all over the world and it is also kept in aquariums. Some of the most popular species among aquarists are Zebra tilapia, Tiger tilapia and Spotted Tilapia. Tilapia is versatile so it can be broiled, baked, fried or grilled. High in protein, tilapia is a good source of energy and low in calories. Tilapia fish has very low levels of mercury as it is known as a fast growing and short-lived fish that has a vegetarian diet. Tilapia is a good source of phosphorus which is necessary for strong bones, vitamin B12 that is needed for the nervous system and potassium which is a mineral that helps to regulate blood pressure. Tilapia is higher in fat than other white fish and contains approximately 2 grams of fat for every 3.5 ounce serving which makes this a good fish for individuals that are working out on a muscle building program. Fresh tilapia is springy to the touch and smells like the ocean. 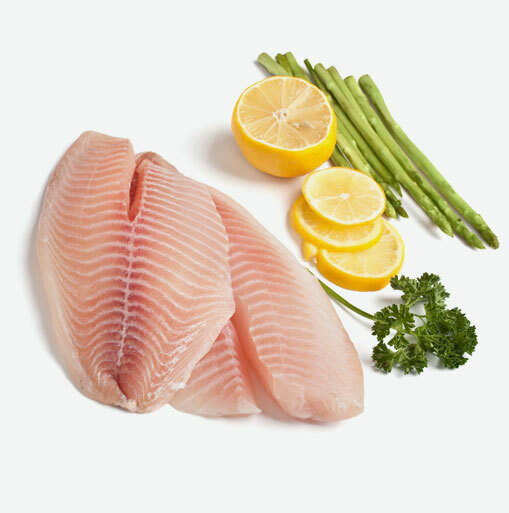 Refrigerate fresh tilapia in tightly wrapped plastic or in a sealed ziplock bag for up to 2 days. Try tilapia breaded, braised in a tomato herb sauce or grilled. Like any mild white fish, tilapia is excellent as a filling for tacos, pan-fried, or flaked and shaped into fish cakes.